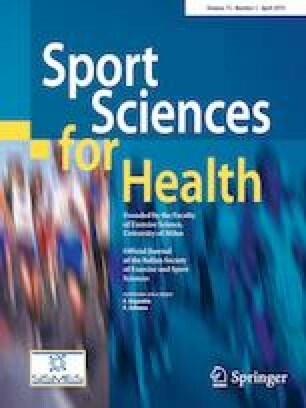 The aim of the present study was to assess, analyze and correlate tests of physical abilities (acceleration and maximum speed in 30 m, Balsom agility test and YoYo intermittent test) with anthropometric measures of university football athletes. Twenty athletes were selected from the University of Brasilia football team (20.95 ± 1.84 years; 71.60 ± 11.65 kg; 176.85 ± 7.28 m) in which they participated in a cross-sectional analysis that correlated fat mass (FM), lean mass (LM) and fat-free mass (FFM) by DXA, with the physical capacity tests. The significance level was plotted at 5%. The FM correlated with the initial acceleration (10 m) (p < 0.05) and with the YoYo intermittent test (p < 0.01); the Balsom correlated with the initial acceleration (10 m) (p < 0.05) and with the total acceleration (20 m) (p < 0.01). In addition, there was positive correlation of RLM and RFFM with YoYo intermittent test, and negative correlation between RFFM and BAT (p < 0.05). Thus, we conclude that the body composition seems to be a determining factor in physical tests of university field football players. Sacha Clael and Samuel da Silva Aguiar contributed equally to this manuscript. We would like to thank the coach Hugo Almeida for the remarkable support in this work. All procedures were carried out according to the resolution 466/2012 of the National Health Council and to the Declaration of Helsinki for experiments to be conducted on humans. After approval of the Human Research Ethics Committee of the University of Brasília (protocol number: 2.533.743), the volunteers received a full explanation about the purposes and procedures of the study and gave a written informed consent.